Every superhero team needs a base of operations! For some it’s a fancy mansion or a high rise tower. For others, it’s a dark, dingy cave! For the heroes of the BRIGAYDE, it’s the Armistice Estates; a newly constructed, state of the art townhouse development that comes equipped with all the amenities a superhero could want. Today is “moving in” day! As NAKED JUSTICE and his teammates lug their belongings, they finally meet DOC SOLANDO, their patron and the man responsible for uniting them as a team. But danger lurks in the least expected places, as Golden Boy soon discovers from a chance meeting with a particularly difficult neighbor. THE BRIGAYDE series deals with extreme story elements and situations, including depictions of violence. As such, this title is not suitable for all readers. Reader discretion is advised. As if our boys weren’t busy enough, they have to get ready for DIABLO’s bachelor party at the One-Eyed Snake Club. Things mostly seem to be going well for this newly formed superteam, except that as they blissfully settle into their new digs, a new BIG BAD sets his hideous plan in motion. A world away, we learn of the ghastly fate that befalls Gateway City Council Member ADIL FADIP and his new husband, DANIEL PAUTSCH. Meanwhile, Devilhound desperately seeks the help of EMIL DURAND in the hopes of freeing himself from the demonic tail that enslaves him. 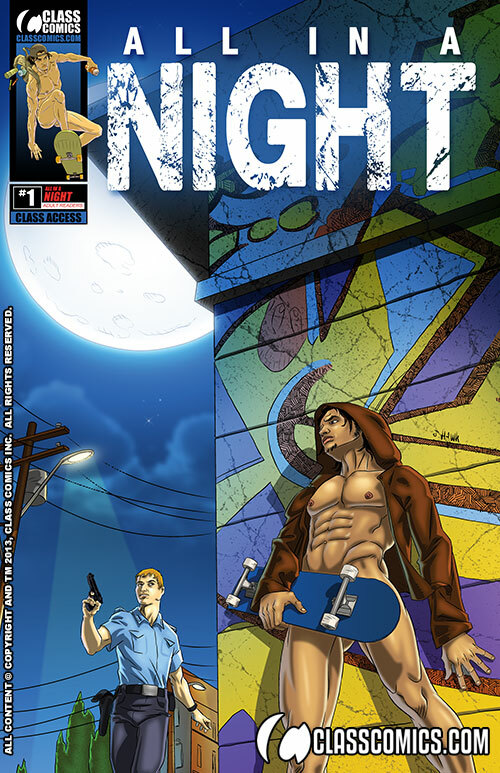 The BRIGAYDE is written by Patrick Fillion and stunningly illustrated by David Cantero.